What do I mean by “save things”? My wife was tidying up the garage and found this checkbook. 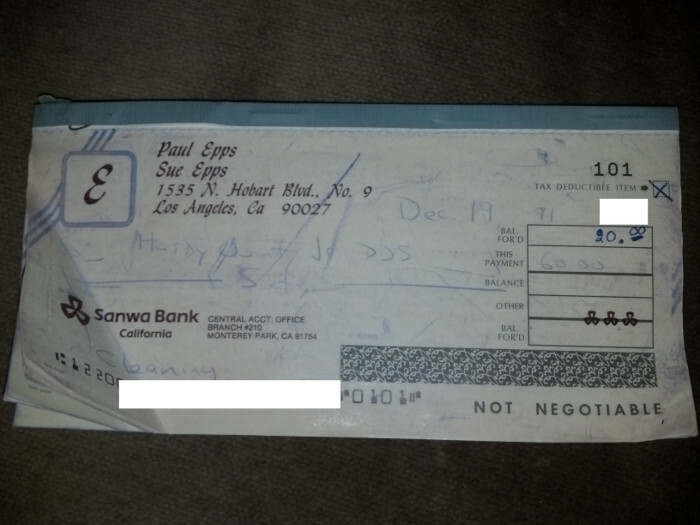 The date (Dec. 19, 1991, the month after we got married) and the check number (101) tells me that it’s the first check we ever wrote on the first joint checking account we ever had.